If youve got a little Pirate in ya, Venen Entertainment has released High Seas: Guns and Gold ($9.95) that is an addictive high seas adventure set in the Caribbean in 1695 that will bring out the Captain in you. You are a privateer sailing the Caribbean trading goods, building your reputation amongst the governments of the area and sinking ships along the way. To see if High Seas is buried treasure, read on! 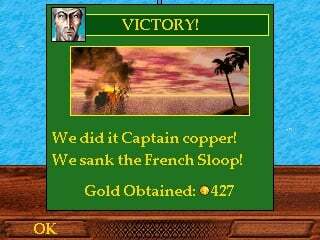 High Seas: Guns and Gold is an entertaining adventure that combines market strategy, treasure hunting and battle strategy. 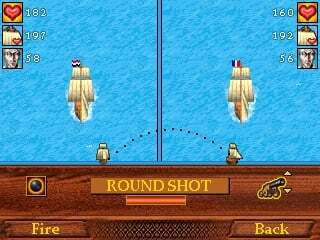 Produced for Windows Mobile devices running Professional, Standard and Classic, the game reminds me of Sid Meiers Pirates and is equally as addictive. You start with $250 in the bank, a ship and a crew. 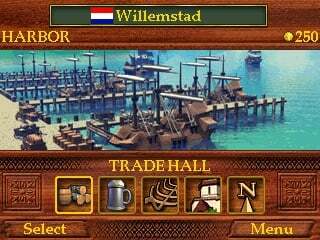 After choosing your start level (which is tied into a Country allegiance), you roam the Caribbean trading goods, battling ships and saving maidens from Pirates. The goal is simple, trade/steal/earn as much money as possible while building your reputation amongst the Nations who have colonies in the Caribbean. Throughout the game, help screens are available to help guide you through the adventures. The graphics are really good; the interface easy with both standard or pro device and the game is addictive. Market prices fluctuate throughout the Caribbean so youve got to buy low/sell high to have any success. You can check the market trends at the various ports but remember it may take days to travel to your destination and the prices might change by the time you get there. The sea battles are fun as well as challenging. You have to determine your canons trajectory to not only account for your ships speed/direction but also the other ships speed/direction. Theres no boarding and claiming the enemy ship as your own but when you sink it, your bank account grows and your reputation is modified. If you bite off more than you can chew and battle a stronger ship, you can always try to flee by sailing your ship off the screen. When not on the high seas, your activity is in the various ports of the Caribbean. 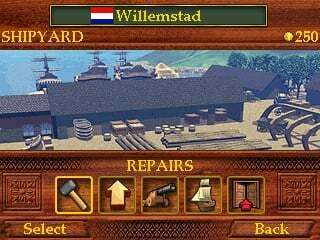 While in port you can visit the market, repair or upgrade your ship, recruit more crew members, and visit the Tavern for clues to the missions you may accept. Some ports have Governors houses where you try to gain favor with the Governor and build your reputation and advance in rank. 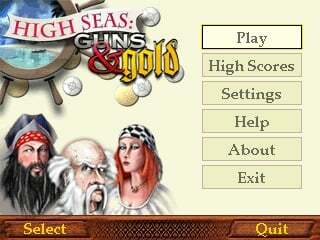 High Seas: Guns and Gold is an addictive, entertaining game that is just plain fun to play. Navigation through out the game was easy; play was not slow at all on the Samsung BlackJack II in that pages loaded quickly; and it was a great way to pass the time. The only thing that would improve this game is the ability to capture enemy ships and increase your fleet size. That and finding a way to transfer your loot to your bank account. Venen Entertainment definitely finds buried treasure with High Seas: Guns and Gold($9.95).